The latest installment in the fabled Red Faction franchise has finally arrived, but will the new changes to the series do it any good? Family Curse: Red Faction: Guerrilla begins on the planet Mars, as Alec Mason is greeted by his brother who is a miner on the planet. Looking for a clean start after his father dies; Alec attempts to get into the mining business with his brother but as usual, not as goes as planned. When Mars was first colonized, the EDF (Earth Defense Force) habituated it so the red planet could support human life. The EDF was meant to be on Mars to help the people living on the planet, but instead the EDF became cruel dictators who did nothing but prey on the innocent. They attacked settlements, raided homes, murdered innocents and instated Martial Law on the people of Mars. While mining with your brother, the EDF shoots him and leaves you out in the middle of nowhere to die as well. Through the course of the game, you discover that your brother was a member of an underground resistance to the EDF, the Red Faction, and you decide to join these freedom fighters to help take down the EDF. The story in Red Faction: Guerrilla is not the greatest I have ever seen but it does do a decent job of creating a mildly exciting storyline that you will probably want to see through. Oddly though, the cinematics are not very interesting in terms of the entertainment they provide. The action shown in the cinematics are bland and dull and do not exude the kind of feeling you usually get from seeing a firefight. Reducing It To Rubble: The biggest draw-in of Guerrilla is the ability to destroy anything and everything in your environment with a variety of weapons and tools from massive buildings to simple pipelines; it can all be brought down lower then the stock market. Using your trusty mining hammer as well as bombs, missiles, rockets and even cars, you will undoubtedly destroy many settlements and EDF controlled areas and have fun doing it. You can destroy near everything you see and in fact, the game encourages you to wreak havoc to complete objectives, begin missions or just to have fun. The physics behind the destructibility of the game are brilliant and each and every building you bring down is different from the last. Depending on where you attack on the building, what weapon you used and at what angle, each time you demolish a structure it is a satisfying experience. In the environment, there is plenty to annihilate too. As you explore the surface of Mars, you will come across countless colonist settlements, EDF controlled bases, housing complexes and trading posts that welcome you to come in and reduce it all to smolder. Fighting Back: During the course of the game, you will be forced to engage in many firefights against the EDF to protect objectives, destroy objectives or maybe you just picked a fight with them. Either way, at some point you will be fighting for your life. Red Faction: Guerrilla uses a cover system that works quite well. It allows you to take cover behind anything in the environment, and that includes cover that may end up breaking down when shot at! This adds a nice element of depth because you have to strategically, but quickly, find cover that will not rip apart when attacked. As far as the shooting mechanics go, Guerrilla features nice gameplay that will keep you entertained but at times you do get a feeling like the game is a bit too easy as you wipe out countless EDF soldiers with ease. You never feel bored during one of your wars though, and at times they can get so hectic you are looking for yourself on screen sometimes! The EDF's AI is also very sharp most of the time and they will be able to pull off moves like flanking, using cover and generally they all try to kill you while keeping themselves alive. Even on the lowest difficulties they will usually relentlessly pursue you if you run and will also try to attack with force and numbers if you are alone. The AI in Guerrilla knows how to handle themselves and while at times it can get a little too easy, they are no bullet sponges most of the time. Barren Land: Unfortunately, besides finding more playgrounds to raze, there really is not much to do in Guerrilla besides missions. You will often find yourself driving across the open land in a vehicle, looking for some sign of something to do besides missions or demolition but to no avail. It seems that the world around you does not have nearly as much life on it as it should. Seldom will you find a more then ten citizens in a single settlement also. Did the EDF really kill that many people that there is only perhaps a few hundred innocents in a single city? This is not a huge problem, considering it is easy to spend hours upon hours simply ripping down walls, pipes, buildings, and bases but there is no doubt there should have been a bit more to do while exploring. A Little Dull Around The Edges: The visuals in Guerrilla are decent and you will see some decently detailed environments at times but overall the graphics showcased in the game are not fantastic and you will see mildly undetailed environments, rather bland buildings and some blocky character models. It is easy to believe the visuals in Guerrilla could have been a bit better, and while this is only a minor quibble (you rarely have a ton of time to take in the sights) it is a flaw nonetheless that you will notice. 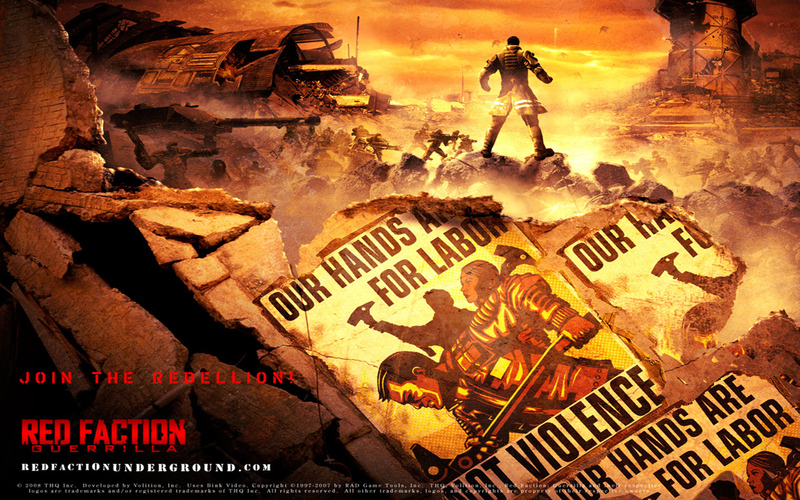 Rent vs. Buy: Red Faction: Guerrilla is a great game that oddly enough rests most all of it's success on the destructibility of the environment. 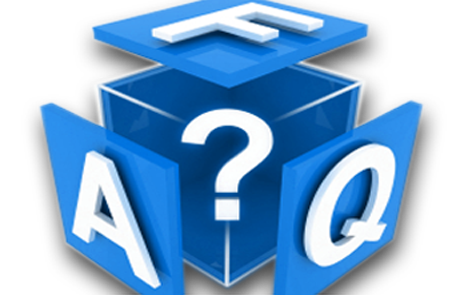 Without that aspect added into the game, Guerrilla would be nothing more then a run-of-the-mill shooter with weak graphics. Despite some of its flaws, Guerrilla is still an impressive game that without a doubt should at least be tried. More then likely, though, you will end up picking this game up.